Iranian women are required to wear headscarves not only in the real world but in the virtual world as well. 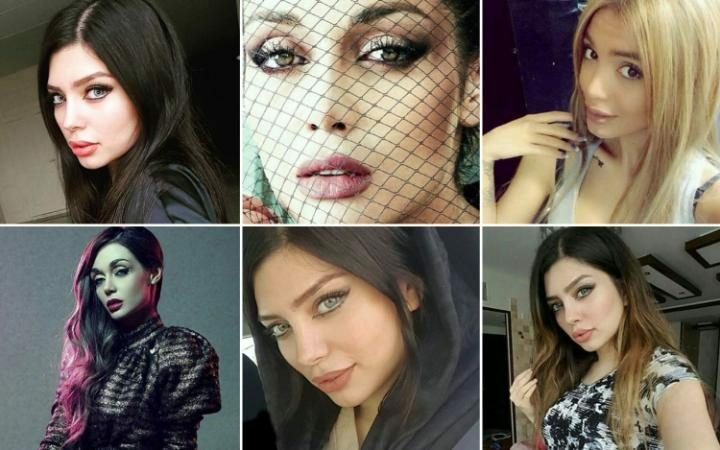 Iranian police recently arrested eight people in a new crackdown targeting “un-Islamic acts” online such as female models posting images of themselves without the hijab, state media reported on May 16. The arrests, which follow the detentions of Iranian artists, poets, journalists and activists, particularly targeted users of Facebook-owned photo-sharing app Instagram. Iranian television footage included an interview with model Elham Arab, known for her portraits in wedding dresses, speaking before Teheran prosecutor Abbas Jafari Dowlatabadi in a conference room, her blonde hair hidden under a black chador. The TV report said police identified some 170 people through social media activity as being involved in modeling, including 58 models, 59 photographers and makeup artists. It said those targeted saw their businesses shut down, as well as their pages on Instagram and Facebook removed. Teheran police chief Gen. Hossein Sajedinia announced last month that his department had deployed 7,000 male and female officers to enforce the government-mandated Islamic dress code. Nearly 40 percent of Iran’s 80 million people can access the Internet, though the U.S.-based watchdog Freedom House describes web access as “not free” due to censorship and filtering. In May 2014, authorities arrested a group of young Iranian men and women for an online video of them dancing to Pharrell Williams’ song “Happy.” While the arrests drew widespread criticism, including from the musician himself, those involved each received suspended sentences of six months’ imprisonment and 91 lashes.